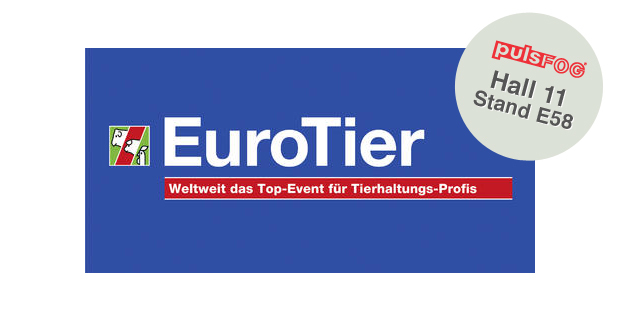 We're excited to be exhibiting our wide variety of thermal and cold fogging machines at this years EuroTier Expo, held from 13-16 November 2012 at the Exhibition Grounds in Hanover. You can find us in Hall 11 at Stand No. E 58. Every two years EuroTier, the world's top event for animal production, showcases innovations and offers a platform to discuss visions and set trends. Around 140,000 visitors came to the last EuroTier in 2010 to gather information about machinery and equipment, genetic resources, farm inputs and services for modern animal husbandry, as well as potentials in the area of bioenergy and decentralized energy supply. You can find us in Hall 11 at Stand No. E 58 together with our partner PM Atemschutz GmbH and FarmWorker. We look forward to meeting many old friends among the visitors, and to making new friends at the show. If you are in the region, please come by the Expo and visit us.